Whether using a loan from a nonprofit or through a federal government-backed program, Texas veterans have plenty of options for financing the purchase a home. 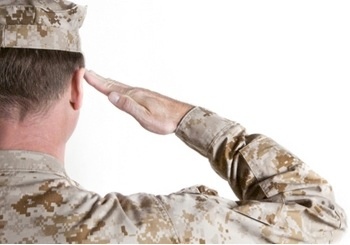 Through these loan products or organizations, veterans do not have to worry about paying a high-interest mortgage or becoming over their head in debt. The 2011 American Community Survey noted Texas is the state with the second highest veteran population, surpassed only by California. In 2011, Texas had more than 1.59 million veterans, accounting for 8.6 percent of the population 18 years old and above. With Texas's high population of veterans, servicemen and servicewomen should take advantage of the various special financing programs to get the home of their dreams. The Texas Veterans Land Board has offered this program for decades and is specifically designed for state residents. The Veterans Housing Assistance Program gives veterans the chance to buy a home with a low fixed-rate loan.